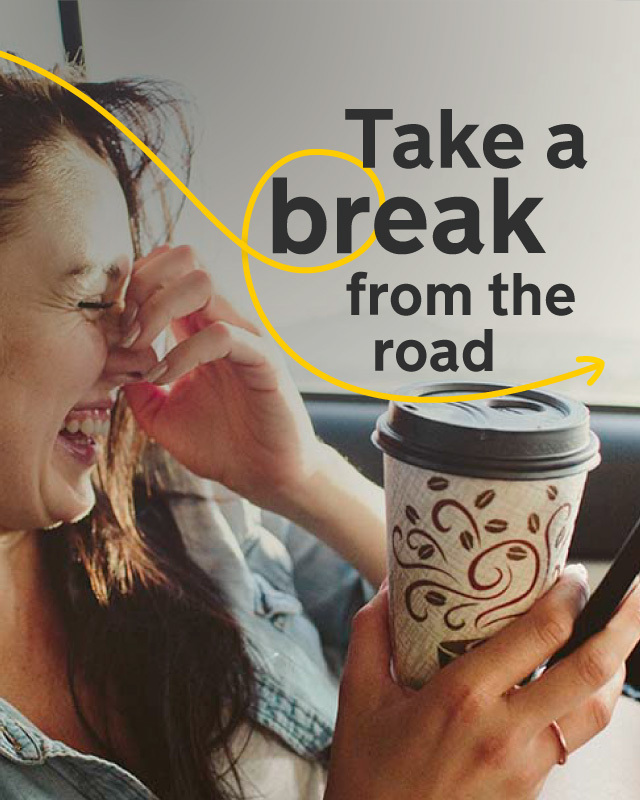 Break up a long journey - and keep everyone happy - with 20% off at Moto services and 10% off at Moto M&S. Just swipe your membership card at the till. Make sure you're full of beans with a cup of your favourite coffee at Moto Costa. And keep your energy levels up when you’re on the go with 20% off food and drink at Moto service areas including Moto WHSmith, and 10% off at Moto M&S. If your tummy’s rumbling and you’re after something a little more satisfying, don’t forget you can get 20% off at Moto Burger King, Moto Upper Crust or Moto West Cornwall Pasty Co. You’ll be refuelled and ready to get back on the road in no time. Looking for a meeting point where you can spend a bit more quality time together? Enjoy a warm welcome - and 20% off - at Moto Arlo’s Pantry and Kitchen, Moto Harvester, Moto Eat & Drink Co, or Moto Bar & Grill. Read our full Moto discount Ts&Cs.